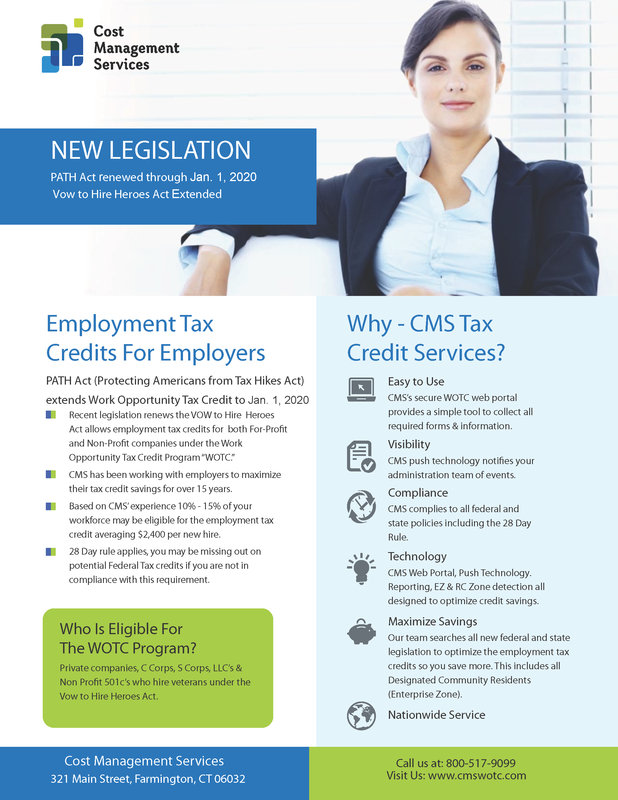 CMS is pleased to announce we will host another Work Opportunity Tax Credit (WOTC) webinar with the CPA Academy: 2018 Federal Work Opportunity Tax Credit (WOTC) Employment Update. This entry was posted in Webinars, WOTC News and tagged cpa academy, Tax Credits, webcast, webinar, Work Opportunity Tax Credits, WOTC. Bookmark the permalink. ← WOTC Questions: Can I Hire a Former Employee?